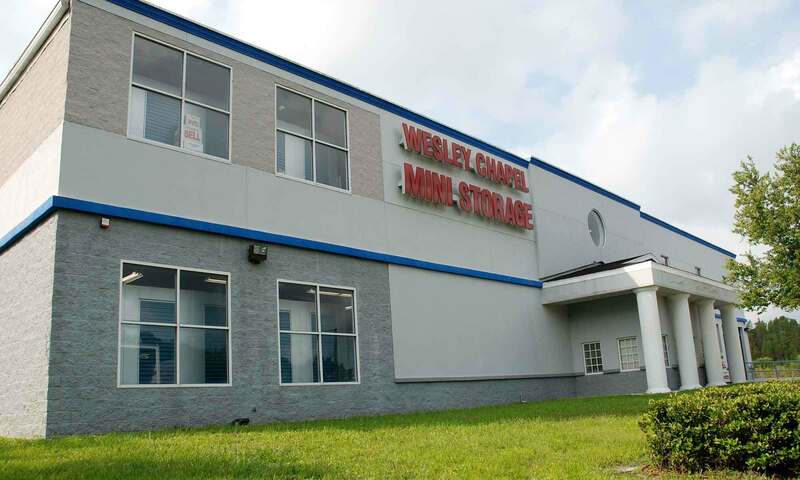 Wesley Chapel Storage serves Lutz and the greater Tampa, Florida area including the Land O’ Lakes and Wesley Chapel South communities with the best in public self storage. We are located on Wesley Chapel Boulevard near Lexington Oaks and Grand Oaks Subdivisions, with easy access to I-75. We have both office and access hours seven days a week for your convenience, and we serve both residential and business storing needs. Contact us with any questions you may have, or feel free to stop by or reserve a unit online. We want to show you why we’re the top community choice for public self storage! We have indoor air-conditioned units ranging from 4x4 to 10x20 to meet your needs; it doesn’t matter if you need to store a few boxes of business documents, or extra appliances during a move, we have a space for you. Our location has secured access and video surveillance monitoring so you can rest easy knowing your belongings are kept safe with us. For your convenience we have packing supply retail and on-site moving truck rental – we’re your complete storage need provider!